Today we’ll be looking at some famous personalities from the root working world. These are not comprehensive biographies, by any means. But they should at least give you some cursory information and enough information to look into the interesting lives of these conjure-folk further if you desire. Today, many people—magical practitioners or not—visit her grave in New Orleans, leaving her offerings and asking her for favors, a practice not uncommon in hoodoo. (additional info gathered from Wikipedia and R.E. Guiley’s Encyclopedia of Witches and Witchcraft). McTeer was a gifted hoodoo in his own way, though he was less focused on the prefabricated potions which made hoodoo a viable commercial enterprise throughout the 20th century. Aunt Caroline Dye – A famed hoodoo woman from Arkansas, Aunt Caroline Dye was another long-lived magical practitioner (supposedly living to the ripe old age of 108). She was cited in Harry Hyatt’s encyclopedic text on hoodoo as being a great jinx-breaker, and the Lucky Mojo page on her cites several blues songs devoted to her legendary gifts. Henri Gamache – A pseudonym for an otherwise unnamed author, Henri Gamache is the name associated with many of the most influential texts in mid-20th century hoodoo. His “Philosophy of Fire” as outlined in The Master Book of Candle Burning is a foundational text for conjure candle rituals, and includes a good number of psalm rituals as well. Other key texts authored by Gamache include Terrors of the Evil Eye Exposed and Mystery of the Long Lost 8th, 9th, and 10th Books of Moses. “The first man who ever learned God’s power-compelling words and it took him forty years to learn ten words. So he made ten plagues and ten commandments. But God gave him His rod for a present and showed him the back part of His glory. Then too, Moses could walk out of the sight of man” (Hurston, Mules and Men, Part II, Chapter 1). Of course, this is not the common view of Moses, but I like to at least consider the idea…but then I like to take a generally unorthodox view of lots of Judeo-Christian mythology, myself. 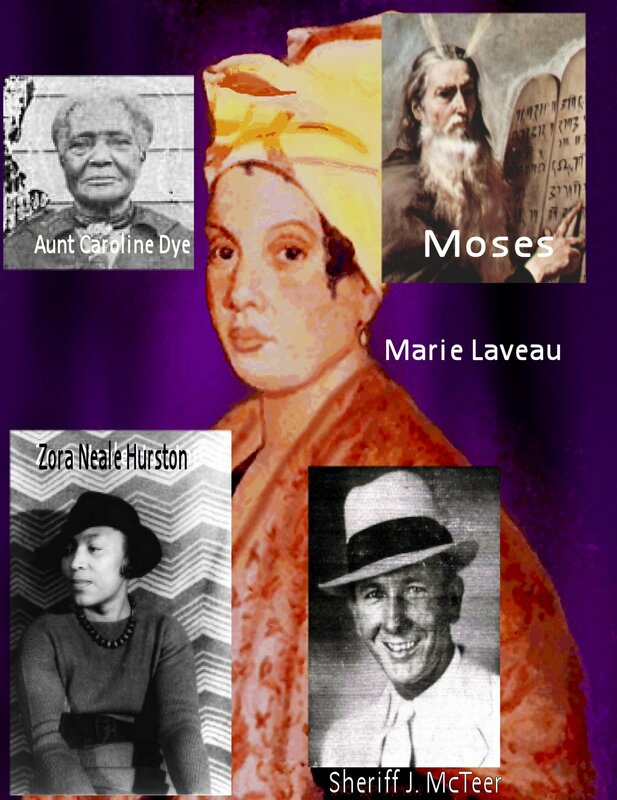 Zora Neale Hurston – To end, I thought I should at least mention the woman I’ve cited several times today. Zora Neale Hurston is a folklorist from the mid-20th century whose most famous book is Their Eyes Were Watching God. However much of her best work is in the study of hoodoo and Voodoo in books such as Mules and Men and Tell My Horse. While many of her stories are elaborations or even (possibly) completely fictional constructs, they nonetheless provide a lot of good hoodoo techniques, recipes, and philosophies. Taken with a hefty grain of salt, her work is a great way to explore hoodoo as it grew within the African-American community during the twentieth century. This entry was posted on March 16, 2010 at 10:17 am and is filed under History & Lore. You can subscribe via RSS 2.0 feed to this post's comments.